By this point everyone who reads this blog should be aware of what Cirsova is. It's a magazine that runs stories of heroism and daring-do in fantastical backdrops of science fiction, fantasy, or horror backgrounds . . . and sometimes in all three at once. If you've stuck around for issue 3 then there's a pretty solid chance you're a fan. So the question might be if it has stuck to what it does best, or has finally turned to modern spec fiction muck. The answer is that issue 3 contains some of the best stories so far, but it also contains some of my least favorite so far. Press on to find out what I mean. The main theme of this issue, as one can gleam from the cover, is pirating. I could make a complaint that there were no stories that contained pirate ninjas, but all told the pirate stories are all top notch here. It's the ones that lean in other directions that didn't hit the same highs. Starting from the beginning we have "War in a Way that Suits You" by Michael A. Michaels, a story about a group of mercenary soldiers who wear suits to enhance their capabilities. There is a lot of great action here, commentary on the universe the characters live in, and a great denouement where the main character is shown the error of his baser actions. I liked this one. It's not one of my favorites, but it works tremendously well to open the issue and set the tone for what's to come. "The Lion's Share" by J.D. Brink and "Blood & Bones: Caribbean 1645" by Jim Breyfogle have much in common; they are both about pirates, they both feature a brisk plot with interesting characters and over the top action, and they are the two best stories in the issue. The former is about space pirates ransacking a ship that turns out to have more going on than first thought, and the second is a swashbuckler tale featuring mages, demons, and a brilliant ending. I have to confess, these stories alone were worth the full price of the magazine. "The Mad God's Scepter" by Edward McDermott is the type of story that would have been more common before the 1980s but is positively refreshing now. Seafaring, pirate battles, lost islands, mystical relics and monsters, and a climax as eerie as it is exciting, makes story work better than its slow start may have you first think. I lied a bit before. When I lumped "The Lion's Share" and "Blood & Bones: Caribbean 1645" together as the best stories, I made it seem as if they alone were the peak of this issue. "The End of the Golden Age" by Tyler Young is easily up there with them. There are magical parrots that grant incredible abilities. There are crazed pirate battles. There is revenge in the air. There is an ending that melds history and fantasy together in a way Tolkien would approve. The wistful look back at the Golden Age and the magic lost since is tragic, and yet the realization that magic could exist on such a grand scale fires up the imagination and hope for a different sort of better day. I was a big fan of this story as you can tell. Next is "Othan, Liberator" by Kurt Magnus, a story of a warrior up against an evil cult. It's very action packed with a final face off with the villain that I really enjoyed. It stands out a bit in this issue for being a bit different from the overall theme, but that is no fault of the story. It is very much in the style of older sword and sorcery stories, and a perfect break from the over the top pirate story before it and the short that comes next. That short is "The Space Witch" by Schuyler Hernstrom, who is quickly becoming the staple Cirsova author. His mushroom men tale in issue 1 set the tone for Cirsova to come, and his novelette in issue 2 was incredible, and this small story lives up to them in spades. It's the end of a crazed battle, a lone warrior stands against his enemy, the Space Witch, and the two make a deal to see who will win the war. As far as heroic stories go the resolution to this short epitomizes them. Unfortunately, I don't think the issue comes close to these highs again. "Clock's Watch" by Michael Reyes annoyed me. It is about a . . . being called Clock who has fallen out of time and is hunting . . . monsters that control people's brains. I can say that it is a good set up. I had no problem with the story, or the resolution, but everything surrounding it. It is written in present tense. The POV jumps around too much. Not much of anything is actually explained outright. I'm still not even sure what the enemy was. It was weird at least. This might be to your taste, but it wasn't to mine. Now, the novelette has usually been one of the best parts of any issue of Cirsova. "A Hill of Stars" by Misha Burnett was a great mix of Lovecraft and weird fiction that never let up, and "Images of the Goddess" by Schuyler Hernstrom was at once fantastical, funny, exciting, and off-kilter. "The Wooing of Etroklos" by J. Comer, in contrast to those, is a bit flat for my tastes. A warrior woman disguised as a man sets out to find a woman for her master, the wizard Etroklos, and ends up in the middle of a bandit scuffle. My major issue would be that despite being the longest story in the issue, it has about as much happen as any of the far shorter tales. The pacing is sluggish. No characters really stood out to me either as they had in every other tale here. There isn't anything that hooked me into the story or the character's predicaments. I have to say that this is the first story in Cirsova that really didn't do anything for me. We end with an essay on C.L. Moore by Jeffro Johnson which I found fascinating. I'm late to the whole pulp revolution having only started reading them a few years back, but C.L. Moore has always been one of the storytellers that interested me the most. Feminine, dark, hopeful, masculine, horrifying, stoic, and exciting-- C.L. Moore was the full package, All this essay did was remind me to read more of her. And since that was the goal of the essay, it was a huge success. The issue ends with the editor's note, as it always does, though this one intrigued me. Mr Alexander relates that one complaint he received was how much more Cirsova ended up like Weird Tales instead of Planet Stories. All I can do is shrug and note that there's a reason for that. Planetary Romance stories are still being written and can be found everywhere. Author John C. Wright is currently in the middle of just such a tale. But Weird Tales? I recently listened to a podcast by JimFear138 where he cuts into the exact problem with the current horror and weird tale atmosphere. For those who don't wish to listen to the whole thing (though it is a very good explanation as to what has happened to the genre), Mr Fear goes on to explain that more stories than not in the weird fiction/horror area* have become overwritten by message fiction. Political agendas inform stories instead of concept or character ideas leading to alienating segments of the audience and morality plays with predictable endings where the group the author hates ends up suffering their wrath, often with a heavy handed moral message. In short, this is what the Horror and Weird Tales markets looks like now. 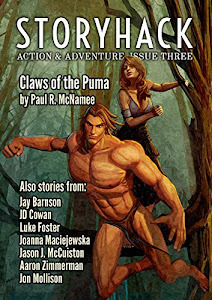 Is it any wonder Cirsova is getting so many submissions in the Weird Tales format? There is no place for the authors of traditional horror/weird tales stories to send what they have when pedestrian stories like the one Mr Fear mentioned are chosen by the gatekeepers. Cirsova is one of the few options open to these authors. Anyway, I'm fairly certain that's why Cirsova is getting far more of one style submitted than the other. The final assessment is that Cirsova #3 is a worthy addition to your library. It has some of the best stories yet run, but a couple miss the mark for me. However, it still evens out to another great read that is well worth your time. Issue #4 is on the way and is currently looking for advertisers, so if you have a project in need of publicity, look them up. If issue #4 is as good as the rest you definitely won't mind being in the company of such great stories. *I realize Weird Tales do not equal Horror. My point was that both styles come from the same place, they overlap a lot, and they both suffer from the same problem. A bit of a different post today. I figured I rarely post about my hobby of video gaming, so why not make post on one of the most overlooked video game franchises? The most apt choice for this topic would be the Ys series (pronounced "Eese"), and the most apt game to post on would be the first game, and technically the second too. The reason Ys Book I & II is one of the best games ever made? Long story short: everything. Ys was a series that began in the early days of PC video game RPGs. The original game was titled Ancient Ys Vanished and it was released in 1987 for the PC-8801. It was fairly straightforward as game; the player is tasked with finding objects in dungeons before fighting the final boss at the end of the game. Adol Christin, the main character, is searching for the secrets of the land of Esteria and must find the six books written by the ancient priests in order to find out the secrets of the two goddesses that raised the kingdom of Ys into the sky. With this basic premise, that's pretty much all you get with the original game. Ys I is a short game with incredible music, a basic yet addicting combat system, and an intriguing setting. Nowadays it might be considered too archaic, but it does what it does better than any other game. But it was only the entree course. The sequel is a bit more involved, and delivers on the promises of the original. Ys II: Ancient Ys Vanished - The Final Chapter was released in 1988 and completed the story that began in the first game. At the end of the first game, Adol climbs the trap-filled Darm Tower into the sky in order to stop the demons spawning in the mysterious place from coming down onto the land and hurting innocents. He reaches the top and beats the being known as Dark Fact, and gets the sixth and final volume of Ys. When he does he is filled with light and is shot off into the sky. He is sent to the ancient land of Ys, hidden for centuries. And that's the end of Ys I. What a cliffhanger, huh? Ys II is an actual sequel. Not a sequel like Final Fantasy, Dragon Quest, or Fallout, which usually has nothing to do with the previous game, but an actual continuation of the story and an improvement on the combat system from the first. The story is more involved, the combat now includes magic and deeper dungeons, and it is about twice as long as the short original. Now that Adol is in the land of Ys is there much he can do to save Esteria? Exploring a totally unknown land where evil has begun to devour good, he has little chance but to explore and fight his way to the source of all evil in Ys. He has to face the reason Ys was pulled away from the normal world in the first place. As you may imagine, Ys is based on the ancient legend of Ys: the city that was overtaken by the sea and wiped from existence, some say due to the interference of Satan himself. But the creators of the game have put their own twist on the myth. You see, Ys takes place in a fantasy world with elements of our own history and cultures. Throughout the series you will find influences and references from all sorts of ancient stories and practices that have melded into this fantasy world. 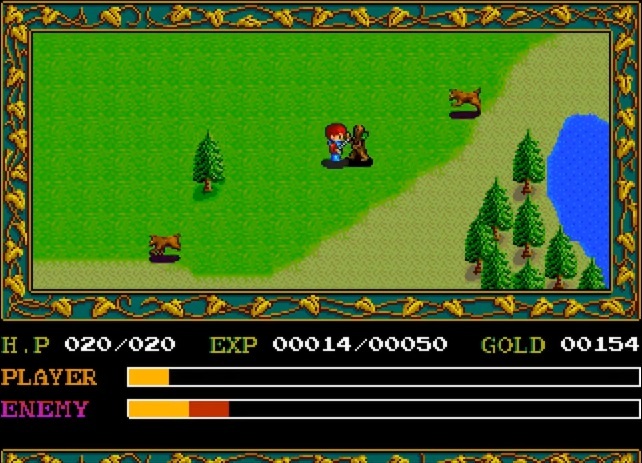 In the original game, the Ys legend is about a land that embraced supreme magic which lead to corruption and the attention of demonic forces, The twin goddesses and their six priest retainers separated the land of Ys from the normal world in order to make sure the demons infested the land could not come to the ground. This is why the Darm Tower that connects the two (and as built to touch the heavens) offers no way out to the earth below. You can only climb up. If you want to be honest, I can't think of the last fantasy RPG (western or not) video game that offered such a unique setting. In the original games, this is all background information and secondary to the gameplay, but it sure does get the imagination going. Anyway, Ys I and II both told a complete story, and were hits in Japan. It wasn't until 1989 that the pair would be remade into one game by Hudson Soft that Nihon Falcom's defining games would get more widespread attention. In 1990, it was released in North America for the Turbografx-CD system and was finally given the attention it deserved. It was even a pack-in game. But what makes Ys Book I & II one of the best video games of all time? Surely it's not just the top notch presentation? No, though that helps. It is combination of three factors. Combat in Ys is the simplest you'll ever find in any game. There is no attack button. You run into enemies until they die. That's it. You line up the enemy on the map and you run into him at an angle until he dies. This requires simple aiming of Adol so that he catches the corners of the enemy sprite to take less damage and so that you give more. The sprites on the screen also move wicked fast which can lead to a quick death if the player is not paying attention. It can get chaotic. But it's really fun. You see, Ys Book I & II has the best combat out of any version of the game. The originals are a bit rough and later versions add in diagonal movement which throws off the simple feel of the combat. This version of the game is the best version on a combat level. The only other buttons include one for using items, one for checking status and menus, and one for magic (Ys II only), and that's it. There are no action RPGs out there that are anywhere near as simple, yet addicting, as this game can be. This version of the game also has perfect balancing. Can't get through an area? Level up more to take some more hits and strike harder. You're never really underleveled (underpowered) enough for this to be a problem. The game is so well balanced that the top level (62) is needed to beat the final boss and the game, and yet you barely ever need to grind for experience or cash to get there. But you can if you wish. The combat is just that fun. Another great thing is the soundtrack. Yes, I talked about presentation earlier, but this goes beyond that. Ys establishes an excellent atmosphere at all times. Now, if that doesn't get you in the mood for exploring ancient civilizations and slicing demons to pieces, I don't know what to tell you. The first game's soundtrack was done by Yuzo Koshiro (Yes, the Streets of Rage guy) and it is quite incredible. Mieko Ishikawa did the soundtrack for the follow-up, as well as the third and (both) fourth games in the series, but it's just as excellent. A big part of the appeal of Ys is its unique presentation and respect for the fantasy genre, and it is one thing the series has never lost even after near 30 years and 8 main game installments. The entire series does well, yet it's the first game that's most fondly remembered. But this version of the game, in particular, really set the standard. The peak of video games from the 1990s, really. Action RPGs rarely come close. The last reason that this game is so great is the story and lore. It keeps it simple and straightforward, but by keeping to its roots as a dungeon crawling RPG game it makes the background world all the more engaging. What is this world like that magic can attract demons and cause such a rift between men? Where did the goddesses come from? 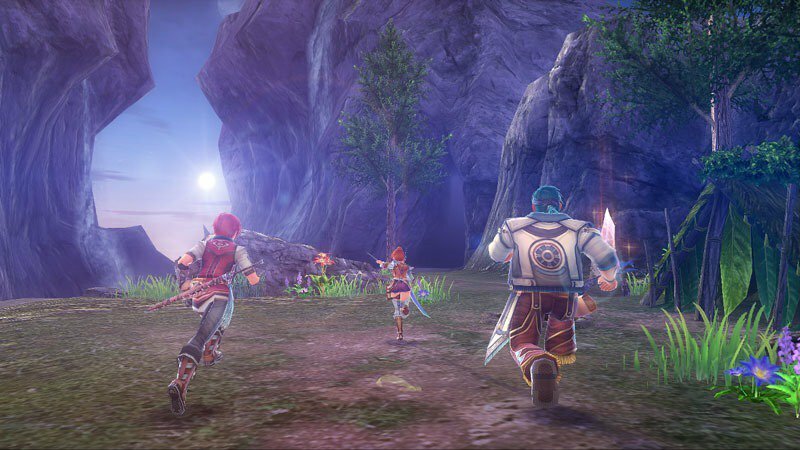 Who is Adol Christin and why is he so determined to save these people from evil? Who really were the six priests of Ys? There are many questions answered in the story, but none of those are. The mystery behind the setting remains as interesting as the gameplay. Ys is a game about exploration, and yet there are still mysteries yet to be uncovered. I think this is an aspect later games in the series don't quite keep up in this aspect. They explain everything, robbing much mystique and magic from the world, but near 30 years on and there are still many mysteries in the originals that still work their magic. Much of this might be explained by the exit of two of the original spearheads of the original three games that left to form Quintet (who are as obsessed with mystery and purpose as the original Ys games were), a game studio that created some fascinating RPGs of their own. The fourth game was licensed out to two separate developers, including Hudson Soft, who made two separate games that were never released overseas. That was pretty much all we knew of Ys on this side of the pond. The series had one more release on the Super Nintendo in Japan, Ys V: Lost Kefin, Kingdom of Sand, but then lay dormant for almost a decade. The series has since been going since 2003's release of Ys VI: The Ark of Napishtim, and has thankfully managed to retain much of what made the series so great in the first place. The stories of the first four games, however, have yet to be matched. And none have captured the mystery and wonder of the original two. The originals resonate so much so that Falcom made a prequel game entitled Ys Origins centered around them and their lore. No other game in the series would demand that sort of attention. But the series is still going strong, and with Ys VIII recently released and on its way to the PS4, there is much to celebrate if you're a Ys fan. As you can tell, I am a fan of the series. I didn't even play it when it originally came out. My experience with Ys Book I & II happened only 8 years ago, and I recently replayed it with much the same interest I had the first time. My praise isn't based on nostalgia. Simply put, Ys Book I & II is pretty close to perfect as far as video games go. It's the full package. If you don't want to track down a copy of the TGCD original, it is available on the Nintendo Wii's Virtual Console service, and will hopefully be on the Wii U's version eventually. There is also a great version of the game on Steam called Ys I & II Chronicles which is more modern. The soundtrack is not as great, and the gameplay loses part of its charm, but it is still well worth playing. You just lose some strange notions such as that of a man named Adol Christin saving a world from demons while wearing the Cloak of the Holy Spirit. Yeah, that's a thing. But it's still the second best version of the game. If you want something more modern (like PS1-era RPGs) I suggest Ys: The Oath in Felghana which is also on Steam. It is a remake of Ys III: Wanderers From Ys with an expanded story and combat, and it might be the best game in the series. Just about every entry in the series is great, however. If you are a fan of fantasy and RPGs, you must try the Ys series out. Intense battling, fantastical settings, and a healthy dose of unfiltered fun, is what makes the best video games what they are. And Ys is one of the best. Iron Fist on the way! Netflix's next Marvel series is coming in Spring 2017! After Daredevil this is the series I was looking forward to the most. If the action didn't sway you I can give you my reasons for looking forward to this. 1. Iron Fist's powers are unique and well-defined. Easily one of my favorites. 2. The fight scenes look to be at least as good as the ones in Daredevil. The kung fu flick style should meld well into the MCU. 3. Danny Rand's optimism is infectious. It's a character trait that has always drawn me to him. 4. This promises to be the lightest in tone of the Netflix series. The darkness in Daredevil was perfect, but the tone in Jessica Jones was so nasty that it put me off of finishing watching it. Luke Cage was definitely better than JJ, but Iron Fist as a character requires more levity. I look forward to how they balance it. 5. This will be leading into "The Defenders" crossover miniseries. I keep wondering how it is that Marvel is the only one doing stuff like this. The rest of Hollywood is floundering after a particularly nasty summer box office, not to mention their insistence on playing political games where they're uncalled for, and their lack of any original ideas, but Marvel just keeps plowing ahead doing what they do best. You'd think I'd be sick of these superhero shows and movies by now. Well, when they start being bad, I probably will. Right now? They're the only thing I'm watching. I currently have a lot of balls in the air, and have had one crazy week. So I'll have to make this post short. I've started reading Cirsova #3 and I'm three stories in. So far I can say that if you like heroic fantasy and science fiction, or if you have enjoyed the first two volumes, this continues the trend. Where Mr Alexander keeps getting all these great stories is a mystery to me. I should have a review when I finally get around to finishing it. Turns out that Outlaw Star, classic anime, is finally getting a re-release . . . in Europe. I don't buy much anime, but this one has been on my list for years. I'm waiting, FUNimation. Bring it on. For those unsure as to what Outlaw Star is, well, it's a science fiction series staring anti-hero mercenaries traveling the galaxy searching for booty and God. 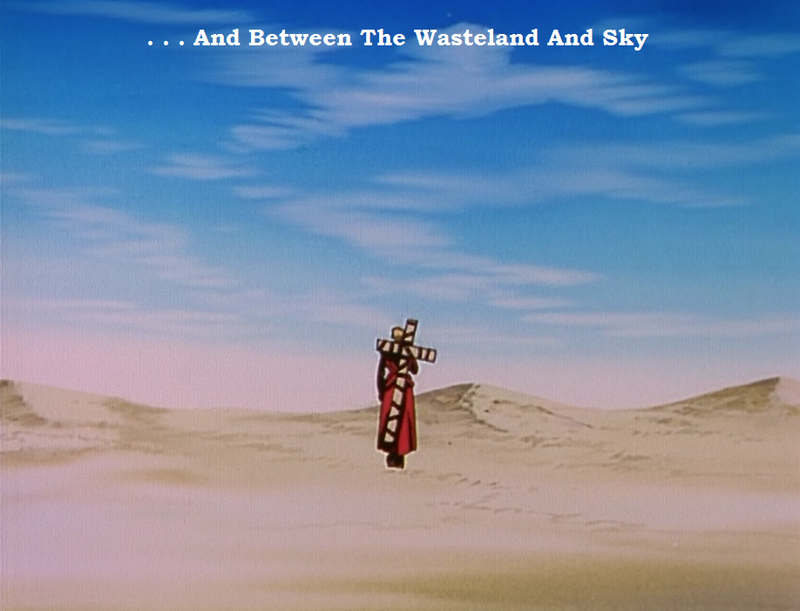 For old school anime fans, it's part of the unofficial "Space Western Trilogy" with Cowboy Bebop and Trigun even though it isn't quite as well known. It's pretty great, though. It's one of my favorites. TV-wise, I don't watch much. I saw the Arrow and Flash season premieres and they were okay overall. Arrow was the better of the two, in my opinion. The old team was holding the show back, so I hope a new group will help pump more blood into the show. The Flash was just too messy. In writing news, I'm waiting for certain parties to fulfill their part of the job. 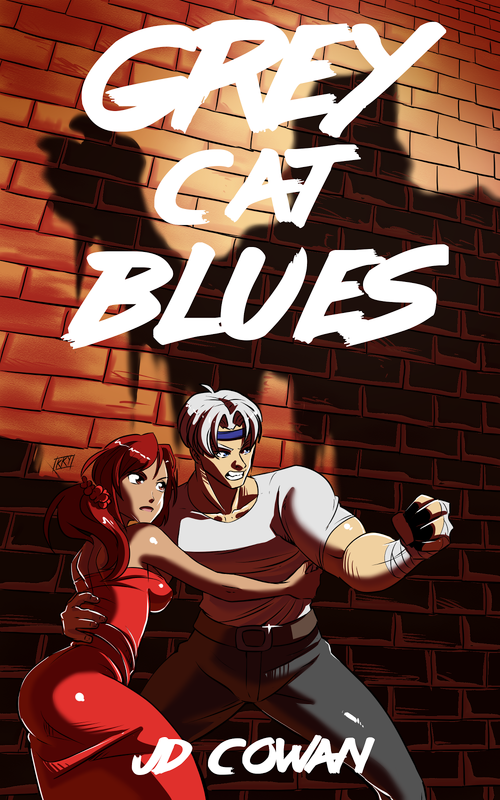 I've also been writing and editing short stories, in addition to real life stuff. It's been a crazy week, even though little has happened yet. But I'm still moving ahead. What else can I do?